Chaga, referred to as “the mushroom of immortality”, “gift of the Gods” and “gift from Heaven”. David Wolfe, longevity guru, calls Chaga “The King of the Mushrooms.” Master herbalists, Ron Teeguarden, of Dragon Herbs believes, ” Chaga is one of those master mushrooms. Chaga is going to emerge as the most important tonic herb of them all… as people become aware of it.” Daniel Vitalis says Chaga is his favorite mushroom in part because, “you can take as much as you want without any negative side effects”. So why have many people not gotten wind of the incredible health properties of Chaga mushrooms? It isn’t because Chaga was just discovered. It has been revered since the 16th Century, where Eastern European countries used it in folk medicine to cure ailments like liver or heat disease and as a treatment for cancers. In more recent times Chaga has been used as a general tonic to treat everything from cancer to diabetes. This is due to it’s very special chemistry. In fact it has been found to have the highest antioxidant activity of any plant on the face of the Earth! Chaga is different from the mushrooms we traditionally think of like Morels or Oyster mushrooms, because it doesn’t grow up from the ground. Instead it grows in the air attached to it’s host, the Birch tree. The power of the Birch tree it’s self can be noted here as Ron Teeguarden calls the Birch “pure chi.” In an interview with David Wolfe he talks about how the energy of the birch is condensed into the Chaga mushroom. Chaga looks much like a corky black growth that forms on the damaged areas of white and black birch trees (Chaga has been found on other trees in the circa polar region of the world, however it is rare). The whole body of the mushroom can be prepared in a variety of ways, however a combination of hot water extraction and ethanol extraction seem to ensure all the healing properties remain. We love and carry Surthrival Chaga Mushroom Extract which is prepared in this dual way from Wild Chaga- the most powerful form of the mushroom available. So exactly what are Chaga’s dynamic healing properties? It has been shown to have the highest antioxidant activity of any plant on Earth. Chaga’s antioxidant properties come from the incredibly high levels of SOD or superoxide dismutase in it’s tissue. In the plant world SOD protects plant cells from the oxidizing effects of reactive oxygen species (ROS) like ozone, pesticides and herbicides as well as UV radiation among other damaging conditions. With those harmful conditions comes a direct increase in SOD production by the plant. In human cell terms the SOD is antioxidant activity that our cells utilize from certain foods (best example is Chaga) to protect themselves from oxidative or free radical damage due to respiration and environmental toxicities like radiation and pollutants. The antioxidant capability that has been discovered in Chaga is derived from Betulin/betulinic acid (concentrated from birch bark), Provitamin D and other sterols, melanin complex and beta glucans. Lion’s Mane is nature’s gift to your nervous system! It’s the only mushroom possessing not one but TWO potent nerve growth factors, showing potential benefits for Parkinson’s and Alzheimer’s disease, mild cognitive impairment, multiple sclerosis, leg cramps, anxiety and more. What if there were one natural treatment that could restore brain function, regrow damaged nerves and reverse the progression of multiple sclerosis? There may be! Lion’s mane mushroom has been used medicinally in Asia for centuries, but for some reason it’s one of the best-kept secrets in the West. 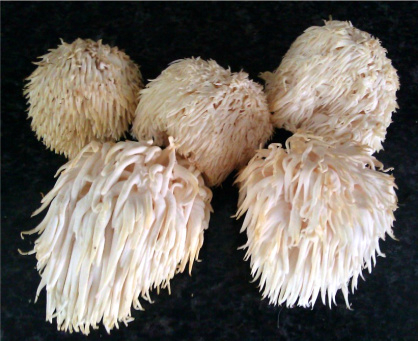 Besides being called "lion’s mane,"Hericium erinaceus, is known by several other names including bearded tooth mushroom, bearded hedgehog, bearded tooth fungus and others. In Japan, it’s known as yamabushitake, which means “mountain priest mushroom.” It has a variety of other names, depending on the country. According to world renown fungi expert Paul Stamets, lion’s mane may be the first “smart mushroom,” providing support specifically for cognitive function, including memory, attention and creativity. It is reported that Buddhist monks have consumed Lion’s mane tea for centuries before meditation in order to enhance their powers of concentration. This unique fungus contains a group of compounds that regenerate myelin along the axons, which opens the door to a world of neuroprotective benefits. In one of the few human studies to date, older adults with mild cognitive impairment were given 250 mg powdered lion’s mane three times a day for 16 weeks and compared to another group receiving a placebo. The lion’s mane group scored significantly higher on the cognitive function scale compared with placebo, with no adverse effects. This study should prompt scientists to investigate the therapeutic efficacy of these fungi for dementia patients. Hailed in ancient Eastern medicine as the "mushroom of immortality" and the "medicine of kings," you'd expect reishi to offer you some pretty astounding health benefits, right? Your assumptions are correct. 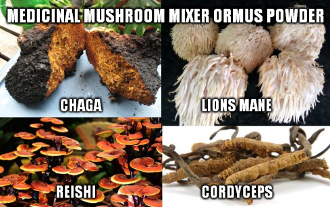 This prized fungus may be able to boost your immune system, fight cancer, ward off heart disease, calm your nerves and relieve both allergies and inflammation. "Reishi indeed sounds like a cure-all," writes Rebecca Wood in her book "New Whole Foods Encyclopedia." She goes on to explain reishi's wide range of uses: "An immunostimulant, it is helpful for people with AIDS, leaky-gut syndrome, Epstein-Barr, chronic bronchitis and other infectious diseases. It is used as an aid to sleep, as a diuretic, as a laxative and to lower cholesterol." It almost seems too good to be true. To make this into an Ormus Powder I took Chaga, Cordyceps, Lion's Mane, and Reishi to make a tea by mixing it up with warm structured lightning water. 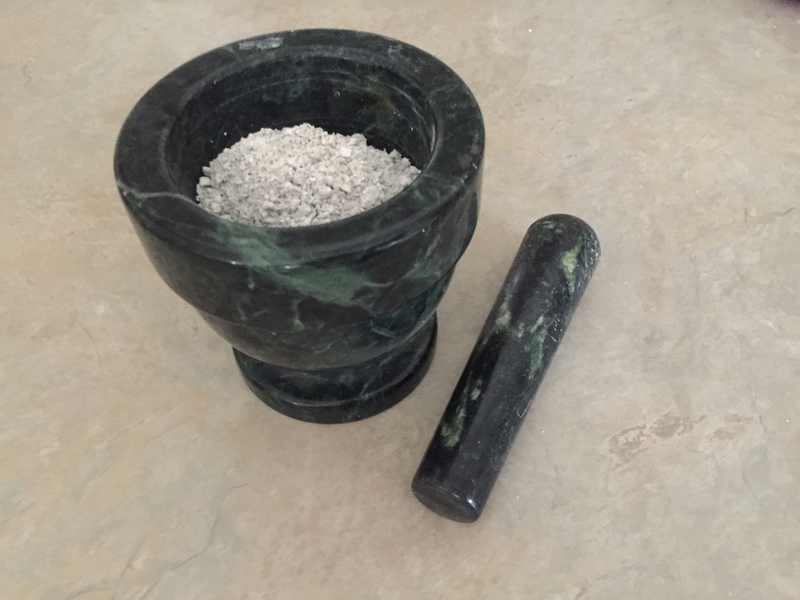 Next I added Organic Dolomite Lime, filtered out the powder and preformed the John Hudson method. After 7 washes its now ready to in-joy. Of course it had an extremely large precip indicating that its full of Ormes.